A 73-year-old husband at the center of a bizarre homicide investigation involving his missing wife has pleaded guilty in connection with her death. After giving police varying accounts on what happened to his wife, Philip Snider finally confided to an undercover officer who pretended that she was considering killing her ailing mother. "Can you imagine a hammer this big and this big around?" Snider told the officer who was secretly recording at a Wendy's restaurant in Springfield Township. "Say I bonked her in the head and her tongue came out." 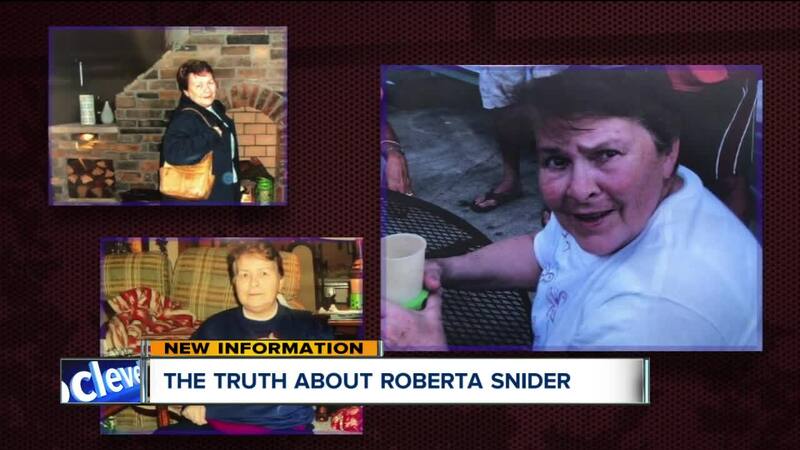 Snider also said he put a bag over the head of his wife, Roberta Snider, and that blood was left on a pillow on a love seat where she had been sleeping. "I didn't snap. I was just numb," Snider said. The undercover officer asked, "And fed up?" He responded, "And fed up." "She never woke up once you hit her? That was it?" the officer asked. "No," Snider said. Snider repeatedly referred to his account as "a scenario" when talking to officer while the two played cards at the fast food restaurant, but prosecutors said his words were clearly an admission to the killing. On Jan. 9, Hartville police were contacted by Roberta Snider's brother, who explained the unusual story about the woman's disappearance and apparent death. Philip Snider told his wife's brother and other family members that he had taken Roberta to Graceland "one last time before she died." He said the couple drove toward Memphis, but as they neared the mansion of Elvis Presley, Snider realized Roberta may have died in their pickup truck. Snider said he flagged down an ambulance in a restaurant parking lot, which took her away, and he returned home after she was cremated. Hartville police contacted Memphis area EMS companies, hospitals and medical examiners offices, but were unable to locate Roberta Snider's body. Hartville detectives later confronted Philip Snider after they gathered evidence from a hotel where he stayed during the out-of-state trip. Detectives informed Snider they were aware he was alone at the hotel and his wife had not been with him. Snider changed his story — this time he told detectives that his wife died in the area between Columbus and Cincinnati on the way to Memphis. That's when he told authorities he tossed her body off a bridge on I-40 in Tennessee. "Roberta did not want to be on someone's shelf and she desired to be with nature," Snider said to police. A search of the river and surrounding area ended without anyone finding her body. Police said they were eventually called to Snider's residence in Hartville by family members after he tried unsuccessfully to take his own life. Snider had allegedly taken some anxiety medication and put a plastic bag over his head, authorities said. He was taken to a nearby hospital for treatment. While Snider was in the hospital, officers obtained a search warrant to comb over his residence. A cadaver dog was brought in, and during a search, it found a container in his basement containing part of his wife's sweater. The sweater was stained with human blood, and after testing, it came back with over a 99 percent positive match for Roberta. Detectives confronted Snider during his hospital stay, this time with mounting evidence. Snider gave a third version of what happened. Authorities said Snider told them that his wife had died at their Hartville home and nothing suspicious had happened. Snider told police he put his wife's body in a trash bag, then in the back of his truck and hit the road for Memphis. He said that on the way there he dumped her body in the Tennessee River, according to authorities. 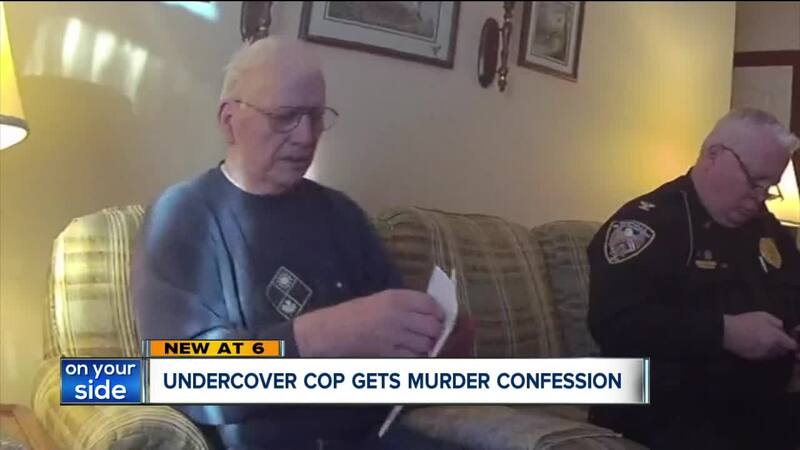 In order to get to the bottom of the investigation, detectives tried a new tactic — they brought in a 50-year-old undercover Hartville police officer who befriended Snider and began to regularly meet him for coffee. The female officer claimed to Snider that she was caring for her dying mother. Eventually, as their relationship grew, the officer "confided" in Snider, saying she wished her mother would die and she had considered killing her. This prompted a conversation where Snider gave the officer tips on how she could take care of the situation with her mother without drawing suspicion. The two also discussed Snider's wife. According to authorities, Snider went as far as proposing to the officer so she could collect his pension when he died, but she told him if they were to continue seeing each other she would need to know the truth about what happened to his wife. Snider eventually told the officer that on Jan. 2, he had a verbal argument with Roberta and she went to sleep in the living room on a love seat. The next morning he went out for coffee, and when he came back home he found her still asleep. Snider told the undercover officer that he took a shop cloth, placed it over his wife's head and hit her twice in the head with a two-pound stake hammer and killed her. Afterward, he tied a grocery bag over her head and rolled her body in a tarp. He put her body inside a large plastic container, gathered up several blood-splattered items and loaded everything into his truck. He then disposed of the body and the rest of the evidence at several different locations between Hartville and Memphis, according to what he told the officer. Snider was sentenced on Monday to life in prison with a possibility of parole after twenty years. As part of the plea deal, he agreed to show authorities where he dumped the body. He still insists that happened in the Tennessee River.